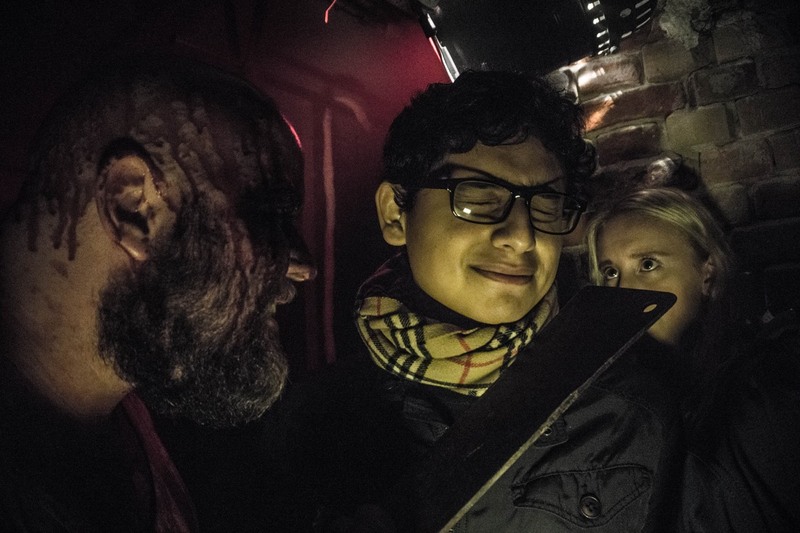 Horror movie fans are known for their love of immersive "haunts": special exhibits of events that pay tribute to their favorite films while letting the fans in on a bit of the scary action. That's the thinking behind I Love Scary Movies, a pop-up interactive art installation that just opened in Los Angeles. I Love Scary Movies is the brainchild of "experiential" artist Maximillian Castillo (who goes by Maximillian), well-known for his interactive immersive creations, like a Snakes on Plane installation or a Pirates of the Caribbean walk-through for San Diego Comic-Con. He's also a horror movie buff, and the current exhibit—housed in the historic art deco building The Desmond, along LA's Miracle Mile—draws inspiration from five films in particular: The Shining, It, A Nightmare on Elm Street, Beetlejuice, and The Lost Boys. "I wanted to do something that was more like an interactive art installation, something that isn’t your standard Halloween scare maze, which I love, but I feel like we can celebrate and interpret these movies over and over again," Castillo said in an interview. "Other than going through a walk-through maze once a year during Halloween, there’s really no other way to really enjoy these movies and dive deeper into the content of these films and these worlds." According to Mathias Clasen of Aarhus University in Denmark, we seek out being afraid in controlled settings as a means of confronting our fears in a safe environment. Clasen specializes in studying our response to horror in books, film, video games, and other forms of entertainment, and he is the author of Why Horror Seduces. It's one way we can explore "issues of morality and evil and the contours of our own psychological landscape," he said. "We find and challenge our own limits. And we may even practice coping strategies. It does not make us fearless, but it does seem to make us better at regulating fear." Like me, Clasen has a lifelong love of horror, even though as a child he was terrified of scary stories. "I would have nightmares and would sleep with the lights on," he admitted. That changed in his teenaged years. "What psychologists call a hedonic reversal took place," he said. 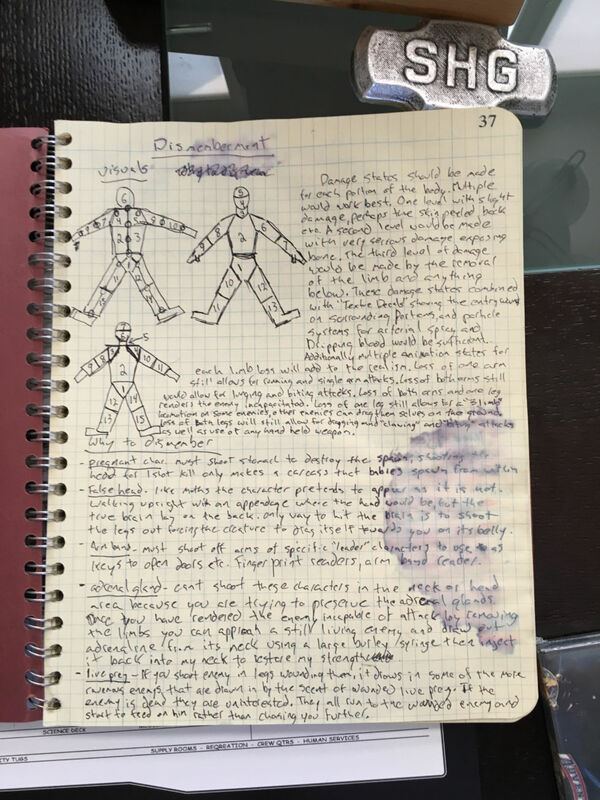 "I started feeling this weird attraction [to horror] that I couldn't really understand." He devoured the writings of Stephen King, Edgar Allan Poe, and H.P. Lovecraft. While earning his various degrees in literature, he found a rich collection of dark gothic material in the English literature canon. Take it from the Creed family cat, Church: sometimes dead is better. Stephen King published his bestselling novel, Pet Sematary, 35 years ago, and it has definitely stood the test of time. 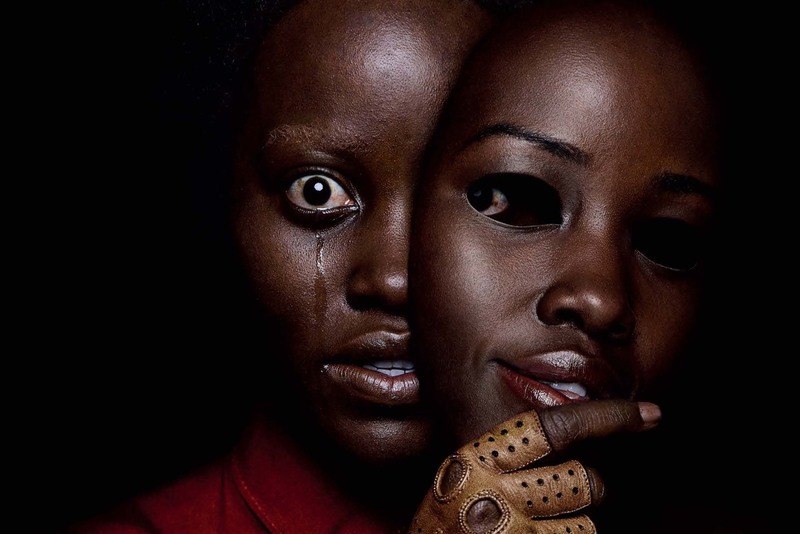 We think we know the story, but there will be some unexpected, horrifying twists in the new film adaptation, judging by the spooky latest trailer. Staunch King fans know the basic plot by now: a doctor named Louis Creed (Jason Clarke) moves his family from the big city (Chicago in the book, Boston in the 2019 film) to a charming small town in Maine. The new house is right by a busy highway on one side and bumps up against a forest in back. So many local pets meet their demise on the highway that the children have set up a "Pet Sematary" in the forest to bury their beloved animals. Louis' daughter Ellie (Jeté Laurence) discovers the site while walking in the woods. Video directed by Sean Dacanay, edited by Jeremy Smolik. Click here for transcript. Special thanks to Glen Schofield and Chris Stone for assistance gathering footage. I need to get this out of the way right up front: the War Stories video crew here at Ars loves Dead Space. The game turned 10 years old this past October, and it's a near-perfect execution of the survival horror genre—the world, the sound design, and the mechanics are all spot-on, even after a decade. It's also one of the games we've had on our War Stories to-do list since the very beginning, and we're excited to finally have this video to share with you all. Executive producer/creator Glen Schofield was fortunately just as excited to talk about the game as we are, and he invited us into his home to tell us the tale of how Isaac Clarke and the USG Ishimura came to be. Creating Dead Space required Schofield and team to create not just an entire original IP (complete with lore and world-building) but new game mechanisms and new ways to tell a story. The focus of putting the player directly into protagonist Isaac Clarke's somewhat clunky shoes affected every decision, and the resulting game managed to be refreshingly original while also paying respectful homage to other horror movies and games (most notably Event Horizon and Resident Evil, respectively. True crime has taken over entertainment. Regardless of what that says about our society, observe the fruits of this trend has been fascinating. It's a pick-your-poison landscape now, filled with riveting podcasts, multi-part streaming series, and other mediums exploring (or exploiting, depending on your view) our interest in the horrible things that happen to others. Amidst the plethora of experiments, one stands out as a refreshing take on the trend: turning the true-crime podcast format into a fictional book. At its core, podcasting is just another way to tell stories, and British author Matt Wesolowski took that idea and translated it into book form. 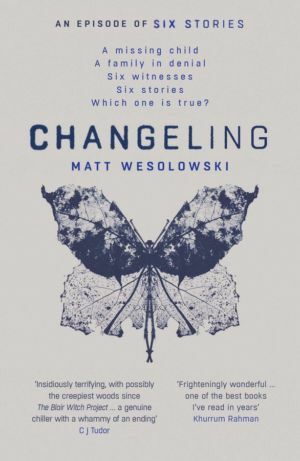 Changeling, the latest installment in Wesolowski's Six Stories series, successfully implants the tale of a boy's disappearance into your head vividly enough that you can almost hear it being told to you. For those unaware, the Six Stories book series uses a podcast format to "rake over old graves" of fictional crimes. Journalist Scott King hosts the fictitious Six Stories podcast, in which he explores past crimes by interviewing those associated with them—witnesses, bystanders, and perpetrators alike. 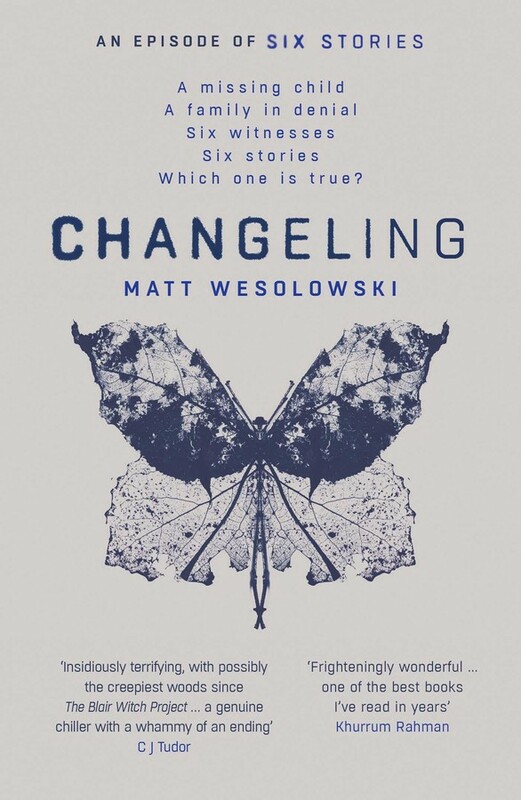 Each book in Weslowski's series features six stories and six different accounts of the same crime, written as podcast transcripts. Reading each book mimics "listening" to one season of the Six Stories podcast, with King as your narrator and guide to dissecting the events that led to and made up the horrible (and typically mysterious) crime at hand. There's nothing better than a clever take on the classic sci-fi time-loop trope—and that's what we got in last year's darkly comic slasher movie, Happy Death Day. We clearly weren't the only ones who wanted more of the film's take on deja vu, as evidenced by this week's brand-new trailer for its sequel, Happy Death Day 2U. If you haven't seen the first Happy Death Day and want to avoid spoilers, you may want to skip the trailer, since it opens with a recap of the source material. So the sequel should require little to no watching of the first film (though, again, we suggest you do just that).